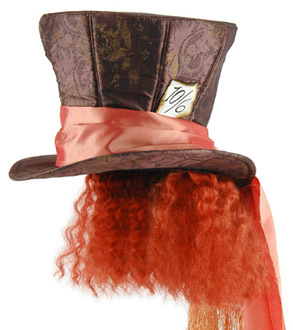 This is the officially licensed Mad Hatter costume from the new Alice in Wonderland Movie. 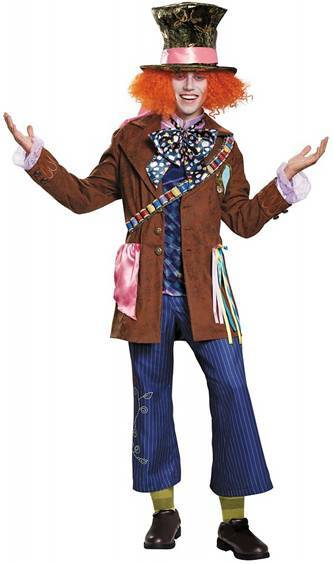 The costume comes with the deluxe quality jacket with attached vest, thread spool sash, cravat, pants and hat. THIS LISTING IS FOR THE STANDARD SIZE COSTUME. 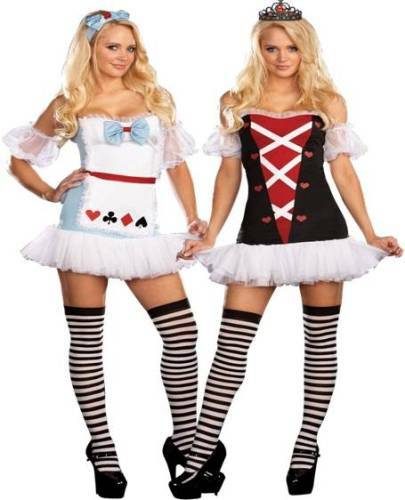 PLUS SIZE COSTUME AVAILABLE UNDER SEPARATE LISTING. Tumble down the rabbit hole with Alice for a fantastical new adventure in an imaginative new twist on one of the most beloved stories of all time. Alice Through the Looking Glass puts a fresh spin on one of pop culture’s most iconic, versatile, and ever-present stories in an all-new adventure with a stellar ensemble cast, traveling back to Underland—and back in Time. 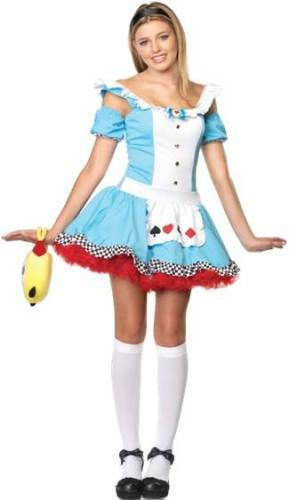 Officially licensed Alice: Through the Looking Glass Mad Hatter costume for men. This item features a brown jacket, blue pants, top, cravat, hat and vinyl thread sash. 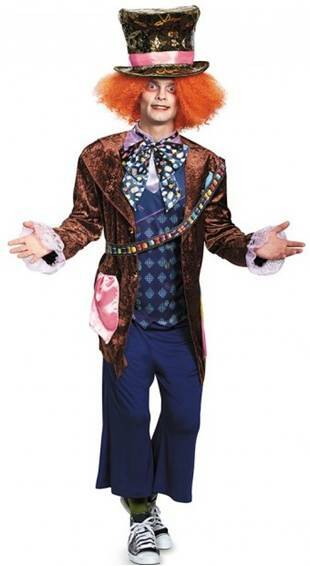 Officially licensed Alice: Through the Looking Glass Mad Hatter costume for men. Includes deluxe quality jacket with attached vest, thread spool sash, cravat, pants and hat. 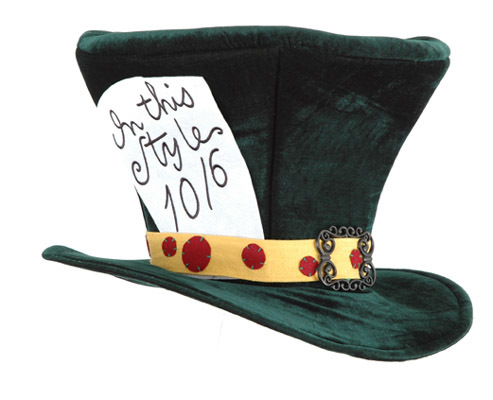 EXAGGERATED MAD HATTER FUN HAT CAN BE USED ALONE OR AS PART OF A COSTUME. HAS ADJUSTABLE INTERIOR FOR COMFORTABLE FIT. 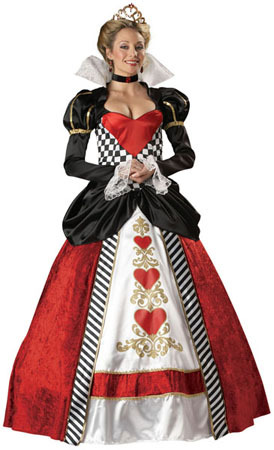 The lovely queen of hearts from Alice in Wonderland. 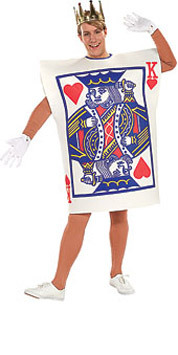 Costume includes dress and crownband. Available in Junior Sizes (S/M-M/L). Gown with printed heart details and gold trim, tulle petticoat, velvet jeweled choker and sequined heart tiara. Be the life of the party with this reversible costume. 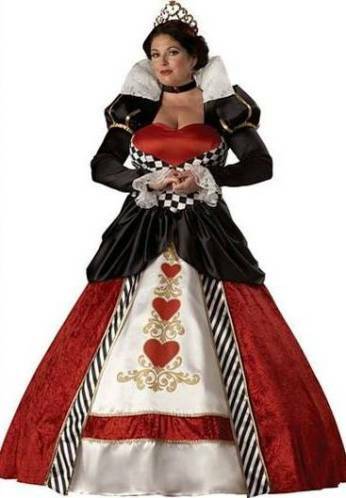 On one side...Alice, on the other...the Queen of Hearts. 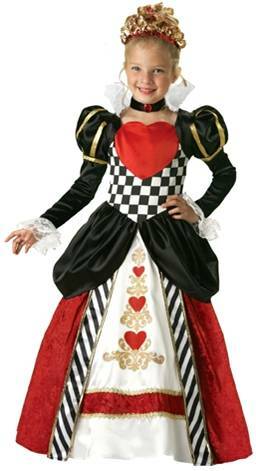 Includes REVERSIBLE dress, headpieces and puff sleeves. 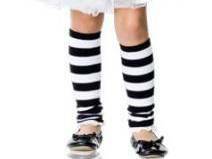 Includes dress, hat, leggings, glovettes and spats. Includes dress and hatter. Size XL in tween is size 14-16. I'm late, I'm late, for a very important date...includes dress, neckpiece and headband with ears. I'm late for a very important date...includes dress, ears and watch.